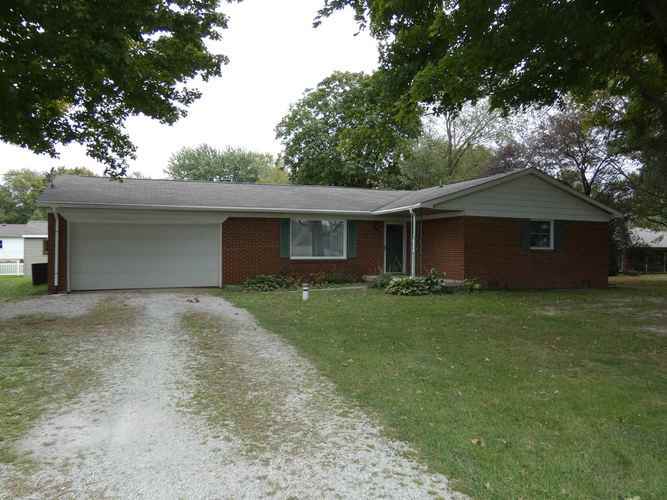 Newly remodeled 3 bedroom, 2 full bathrooms, brick ranch located on half acre. Newer bamboo floors throughout, tiled full bathrooms. Master has en suite with walk-in closet. New windows, doors & paint in 2017-18. Room for a dining table or eat in area in the kitchen with newer cabinets. 2 car garage with workshop area & a large, newly sided & roofed shed in the back yard. Sweet covered patio to enjoy evenings. Just on the west edge of town, but close to all your shopping needs! Directions:W Sycamore to Malfalfa Rd/300 W. Turn north to house on east side.